Washburn Center’s Outreach supports parents and teachers when emotional, behavioral or developmental concerns arise for children from birth to preschool. Within Hennepin County, Outreach provides an observational assessment of children in their child care or preschool setting, consultation to parents and teachers, and referrals if needed. Services provide early identification and prevention support to help stabilize a child in his/her current placement while offering training and support for providers. 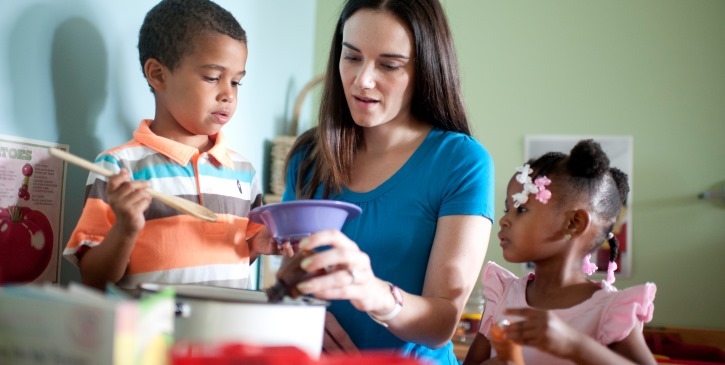 Observational assessments are provided in a child’s current programming placement: in child care centers, in-home child care settings and preschools within Hennepin County. Outreach services are funded by Hennepin County and are provided without a fee from Washburn Center.